The Small Meeting Room – also known as the Lilac room – is designed for meetings and functions for up to 8-10 people. 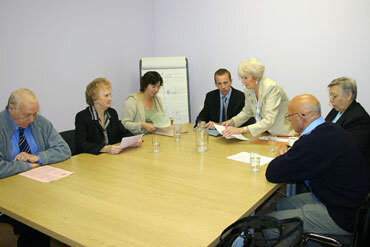 The room is ideal for presentations, meetings, focus groups and various social activities. The room is furnished with high quality, light-weight, easy to manoeuvre furniture (tables and chairs), overhead projector, filing cabinet, display boards, electrical outlets and has a pleasant, warm atmosphere.